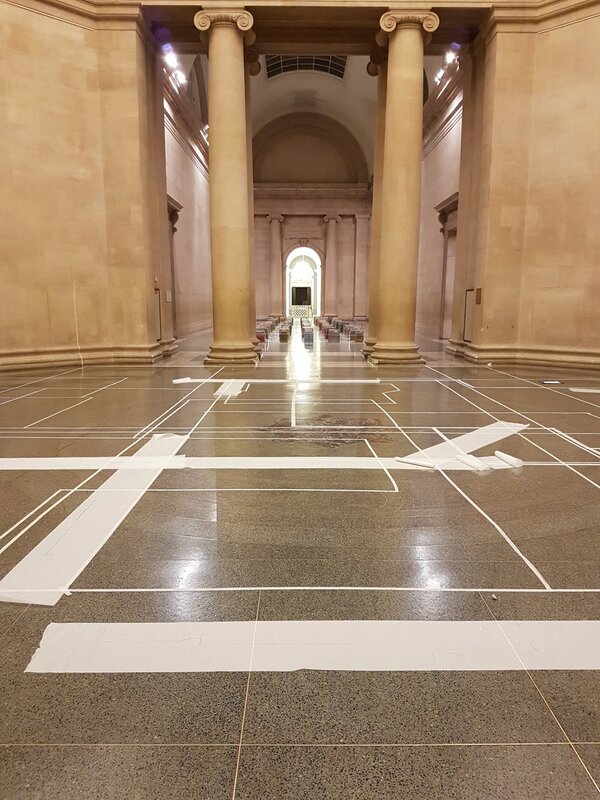 Close study and drawing directly from Whiteread's sculptural works to develop a shift in critical perspective. Looking closely at the surface detail captured in these works to appreciate how the spaces of home are inhabited and understood at 1:1 scale and attend to the loss of such detail in standard architectural drawings. Masking out of floor plans of model homes from the 1850s through to the present day. Comparing the scale of housing as defined by changing legislation against the familiar spaces of home, using the scale of Whiteread's sculptures as a common reference point for volumetric scale.